Perfect for free-style journaling. Use as a diary or notebook. Paste in photos & mementos. Gift our inspirational Christian journals to family and friends. 150 blank, lined pages. Size: 6 x 9. 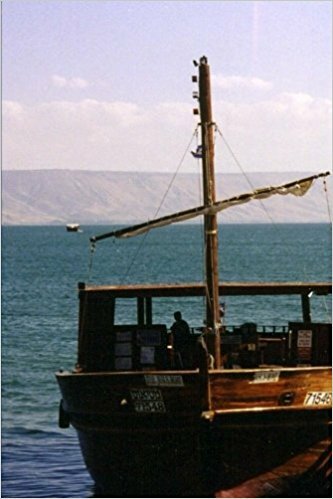 This stunning Holyland journal features a Jesus Era boat on the Sea of Galilee. A perfect Christian diary, travel journal, prayers journal, Bible study or memoir journal. Blank, lined pages with subtle page numbers inspire free-style journaling. Track events and dates at the back. Record your journey. Capture experiences. A memorable birthday or holiday gift. 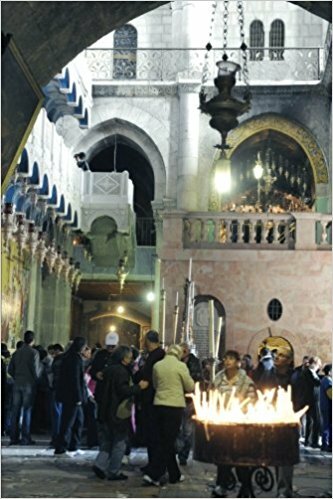 This inspiring Holyland journal features a Church of the Holy Sepulchre cover. A perfect Christian diary, travel journal, Bible study, memoir or prayers journal. Blank, lined pages and subtle page numbers inspire free-style journaling. List key pages at the back. Record your journey. Capture experiences. A memorable birthday or holiday gift. 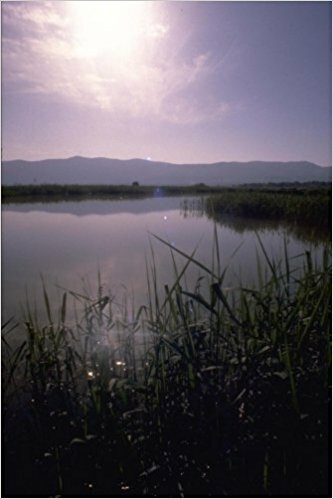 This beautiful Holyland journal features the Jordan River Serenity cover. A perfect Christian diary, travel journal, Bible study or prayers journal. Enjoy free-style journaling. Lined pages and subtle page numbers make it easy to track important events and dates. List key pages at the back. Record your journey and prayers for the future. A memorable birthday or holiday gift for loved ones and friends. 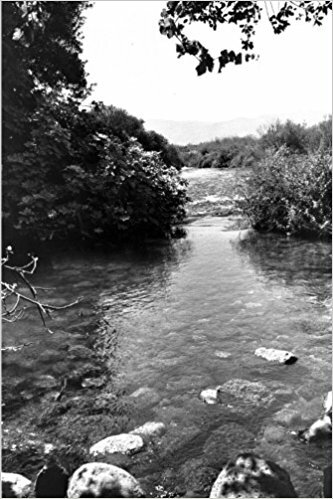 This moving Holyland journal features a 1960s Jordan River Baptism Site cover. A perfect Christian diary, travel journal, Bible study, memoir or prayers journal. Lined pages and subtle page numbers make it easy to track important events and dates. List key pages at the back. Record your journey and hopes for the future. Capture experiences and emotions. Excellent for Bible study. A memorable birthday or holiday gift. 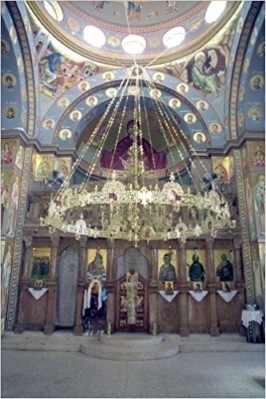 This moving Holyland journal features the Mount of Beatitudes on the front cover and the church interior on the back cover. A perfect Christian diary, travel journal, Bible study, prayers or memoir journal. Lined pages and subtle page numbers make it easy to track important events and dates. List key pages at the back. Record your journey. Capture experiences. A memorable birthday or holiday gift. This inspirational Holyland journal features a Ceasarea Philippe cover. A perfect Christian diary, travel journal, Bible study journal, prayers or memoir journal. Lined pages and subtle page numbers make it easy to track important events and dates. List key pages at the back. Record your journey and prayers for the future. Capture experiences. A memorable birthday or holiday gift. 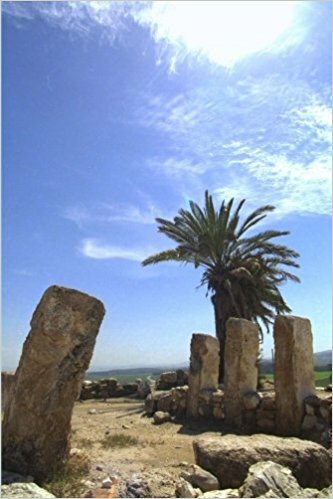 This unusual Holyland journal features biblical Megiddo on the cover. 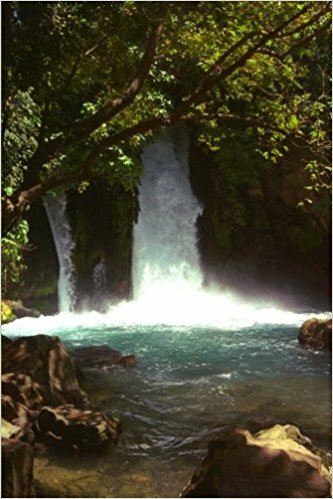 A perfect Christian diary, travel journal, Bible study, prayers or memoir journal. Lined pages and subtle page numbers make it easy to track important events and dates. List key pages at the back. Record your journey and prayers. Capture experiences. A memorable birthday or holiday gift for loved ones and friends.